Magicman knows what I like. “There’s WildStar news if you want it. Winter kind of stuff, with quality of life, inventory management, etc.” he tells me in Skype. Indeed, there is! Carbine Studios has gone into detail with some of the less-glamorous, but still useful, changes coming to WildStar when it goes free-to-play on the 29th. 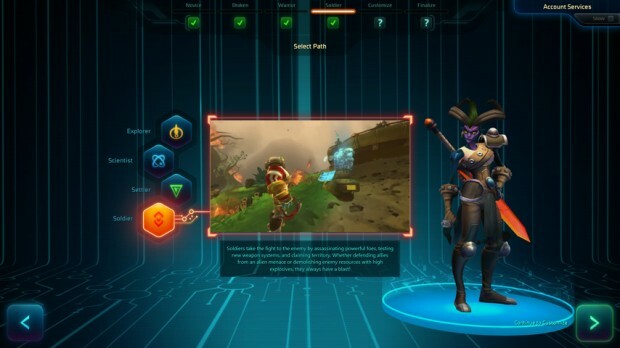 There’s going to be a “Sell Junk” button that will help you clear out your bags quicker, a rapid-transport system that charges a fee and has a cooldown, an action-combat-style mouselook mode, guided character creation, new content finder, and more. what if? they did. it is there. 2. the game was really badly optimized as well as that I ran in to more bugs and more technical difficulty than an IT worker on there regular day. I was constantly having to post/read the forums to find out how to fix sooo much stuff. Sooo my opinion is if they have fixed all the crap that was happening from launch (and to be honest they probably have by now!) then it should be a really fun and enjoyable game, which I really liked! Looking forward to the free to play model! if they do that “action-combat-style mouselook mode + a target TERA like id just might sub ” if they dont WildStar can go to hell because that combat i just horrid! its trash bec u cant handle it ?! dont be stupid. go play wow think its better for you. ow good news have ”lf raid” system it definitly made it for u. do auto attack and finish it the content.